Benjamin F. Wilson is Managing Principal of Beveridge & Diamond, P.C., the largest and oldest environmental law firm in the United States. His practice encompasses a wide range of activities in both state and federal courts, including commercial litigation matters and environmental litigation. He has been lead counsel in several complex litigation matters for major corporations and developers, and has represented cities and local government agencies on Clean Water Act enforcement, wetlands development, Superfund and Environmental Justice matters. Mr. Wilson graduated from Dartmouth College with an A.B. degree in History and received his J.D. from Harvard Law School. He serves as an Adjunct Professor in Environmental Law at the Howard University Law School, teaching courses on Environmental Law and Environmental Justice. 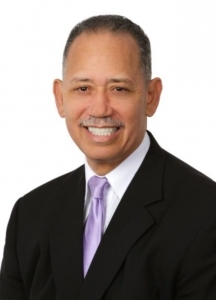 Mr. Wilson received the 2009 Wiley Branton Award for outstanding achievement in civil rights law by the Washington Lawyers Committee for Civil Rights and Urban Development. He is a member of the Board of Trustees of Dartmouth College and the Board of Directors of The Northwestern Mutual Life Insurance Company.